Hint Water Reviews: Which One is Best to Quench your Thirst? Hint Water Reviews: Which One is Best to Quench your Thirst? →Hint Water Reviews: Which One is Best to Quench your Thirst? Looking for the best flavored water to buy can be an overwhelming task. There is an abundance of options that are available. Each manufacturer will make aggressive claims to position themselves as the leader in the market. As a responsible buyer, however, you should take time to evaluate the possibilities and see how one product can stand out above its competition. 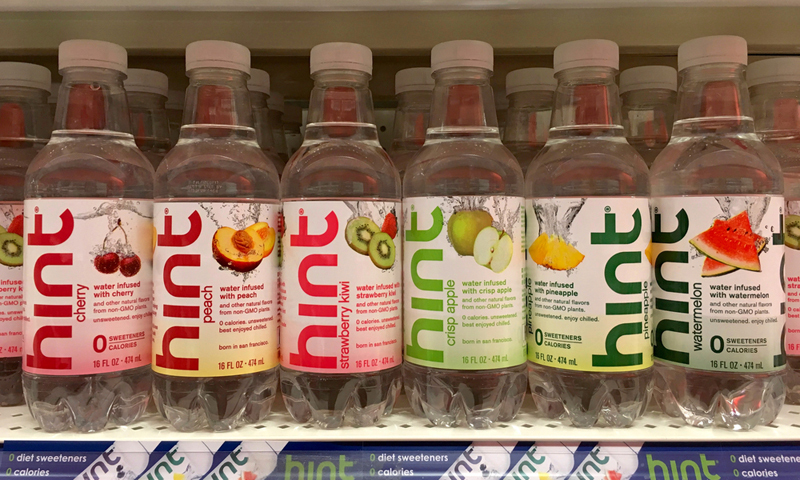 Hint Water changes the way you quench your thirst. It is flavored-water, but the best thing is that it does not contain sugar. It is a tasty beverage that you can enjoy without the guilt. In this post, we’ll have short Hint Water reviews to help you in the evaluation of your choices, making it easier for you to come up with the right decision. Improves Physical Performance: Whether it is at the gym, work, or anywhere else, drinking water increases your energy, which allows you to perform better. Water provides the hydration that your body needs to improve motivation and reduce fatigue. Balances Fluids in the Body: As the human body is mostly composed of liquid, this is another benefit that will convince you to drink water. It improves circulation, absorption, digestion, and creation of saliva, among other things. Aids in Weight Loss: If you are trying to lose weight, it is also advisable that you drink more water. It makes you feel fuller, and hence, there is a lesser tendency that you will have unhealthy cravings. It also helps in the improvement of metabolism and digestion. Gets Rid of Toxins: Water will also be instrumental for detox. It flushes out the toxins from your body. Because of being able to get rid of the toxins, it helps to lessen the risk of urinary tract infections and kidney diseases. Prevents Headaches: This is especially true during a hot day or when you feel exhausted. Headache is commonly caused by dehydration, which is exactly the reason why such problem can be prevented by increasing your consumption of water. Relieves Constipation: Constipation is one of the digestive disorders that can be relieved by water. Having more fluid intake is one of the first things that you will do if you feel constipated. This can help improve bowel movements and the quality of your stool. Prevention of Hangovers: A night of drinking is sure to be a lot of fun. The morning after, you will swear never to drink again in your lifetime. For a quick hangover fix, drinking water will do the trick. This will replace the liquids you have lost after being dehydrated because of alcohol. 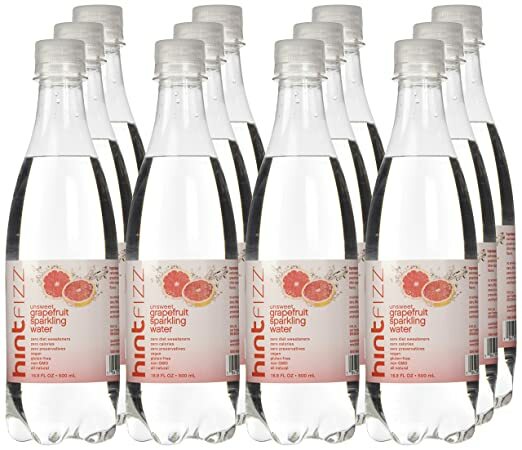 Zero Calories: Although Hint Water is a flavored beverage, it is important to note that it is only pure water. Hence, there are no calories. You can drink as much as you want without worrying that it will affect your calorie-restrictive diet. 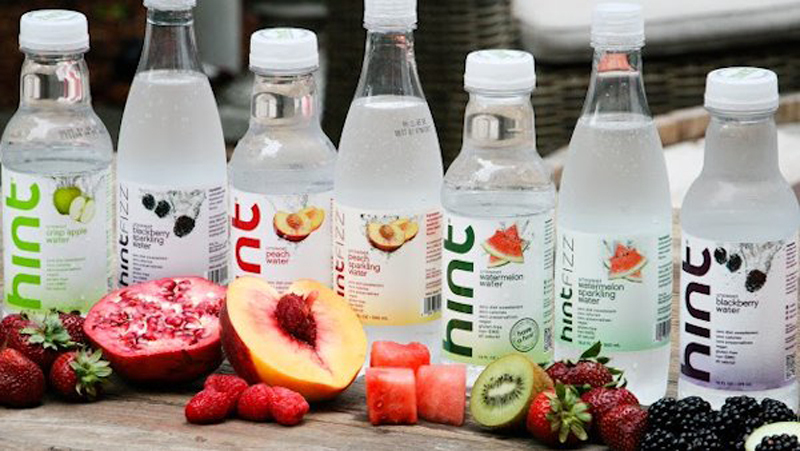 No Artificial Ingredients: Another major reason to love Hint Water is the fact that it does not contain fake ingredients. There are no diet sweeteners or artificial sugar. It is also GMO and gluten-free. Natural fruit oils are used to achieve its distinct flavors. Tasty: Hint Water is also popular because of the flavors that they infuse in the water. They are tasty, but not to the point that they are too artificial. This is basically because of the natural flavorings that add a subtle taste to the water to make it less boring. To add, it is also fizzy, which makes it better to drink than plain water. Made from Pure Water: Even if there are flavorings in the drinks, Hint Water is made entirely from pure water, which has undergone a purification process to get rid of impurities. You can be confident that it is free from hard minerals. BPA-Free Packaging: The beverages are packaged in plastic bottles that are BPA-free, which can provide you with an assurance that it will not be a risk for your health in any way. They are soft plastic that will not be toxic. 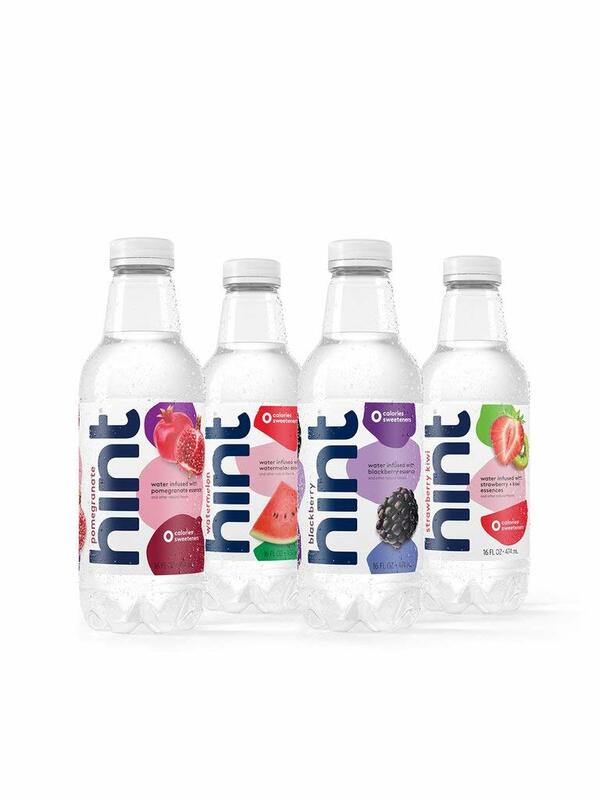 Variety: Another good thing about Hint Water is that you will be confronted with an assortment of flavor. Depending on what tickles your taste buds, there is something that you will surely love. Before we go further with our discussions in this guide, let us also take a look at how the company has found itself in its current position. Hint is a company based in San Francisco, which started with its operations in 2005. The genius behind the company was Kara Goldin, who basically became frustrated with drinks that are full of sugar and preservatives. Since its establishment, the company was able to build a solid reputation that is hard to rival. It is now a name that is more prominent than ever, with more and more people realizing the fact that it is better than your ordinary water, not only because of its flavor, but also because of its benefits for your health. While the company is based in San Francisco, Hint Water is bottled in key locations around the country. They make use of local water sources, making sure that they adhere with their highest standards. To add, they use an innovative purification technique to clean the water and to make sure that it is in is purest form when it is used for making a drink. Another good thing to love about Hint Water is that they have subscription packages. The latter will make it easy to reorder your drinks. In fact, you do not have to place any order again. Based on your subscription, your orders will be automatically renewed as you deem necessary. With the competition that the company faces, you can expect that there is no other way to go but up. 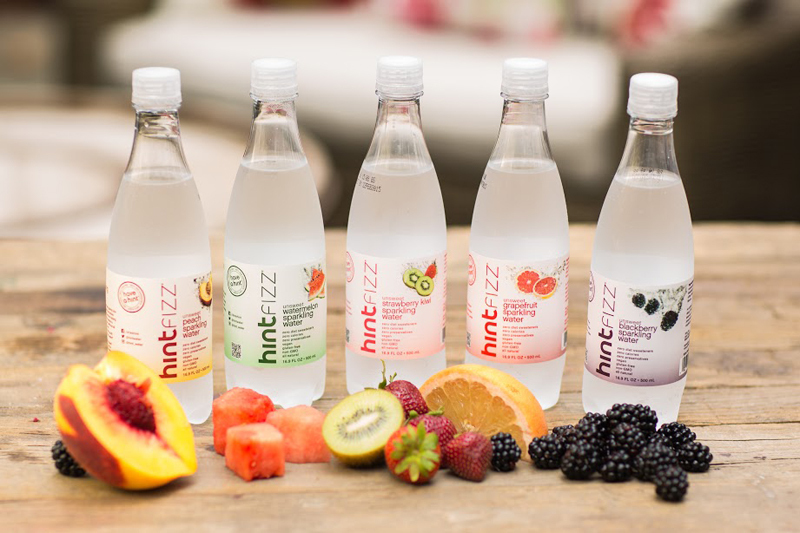 In the coming years, we expect Hint Water to be more innovative, introducing newer flavors and technologies that will give them an edge above their competitors. Below are five of the products that you have to include in your list of choices. We’ll give you a glimpse on what you can expect in each of them, as well as a few of their pros and cons. Although Hint Water is a flavored beverage, it is not overpowering. This can be a bad thing for people who are looking for a strong flavor in their drink. For most, however, this is a good thing as it makes the water taste more natural rather than artificial. Variety is one thing that you are sure to love about this pack. The set contains twelve bottles, each measuring 16 ounces. There are three bottles for each flavor – strawberry kiwi, pomegranate, blackberry, and watermelon. More than having diverse flavors, it is also worth noting that such taste is achieved without resorting to artificial sugar and sweeteners. In fact, similar to other drinks within the product line, it contains zero sugar, making it a drink that is good for your health. 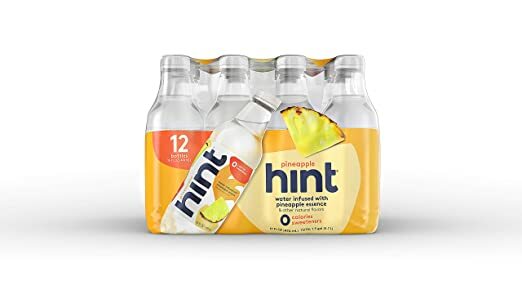 This is one of the most refreshing flavors that you can choose from the Hint Water product line. Crisp apple flavor is barely there, yet you can taste it. It has a mild taste, which is actually better than those beverages with flavors that seem to be more than what is necessary. To achieve the tangy apple flavor of this beverage, the company used all-natural ingredients, even for the sweeteners. This is perhaps the reason why the taste is barely there, yet you will recognize that it is apple-flavored. Lastly, this flavored water is made from apples that have been derived from non-GMO plants. This is one more thing that can provide you with an assurance that this is indeed a drink that will not harm your health. If you are following a strict diet but unwilling to deprive yourself of the good things in life, this is one beverage that you should consume. There is no need to feel guilty as it has zero calories, which means that you can have as much as you want. This water has a pineapple flavor, but some people might think that it is barely present. This is good if you want the flavor to be light or minimal. One reason for this is perhaps the fact that all the flavorings are natural and there are no artificial sweeteners that are added. To make it even a healthier drink, it is also gluten-free. This will make a good beverage of choice for people who have gluten sensitivity. 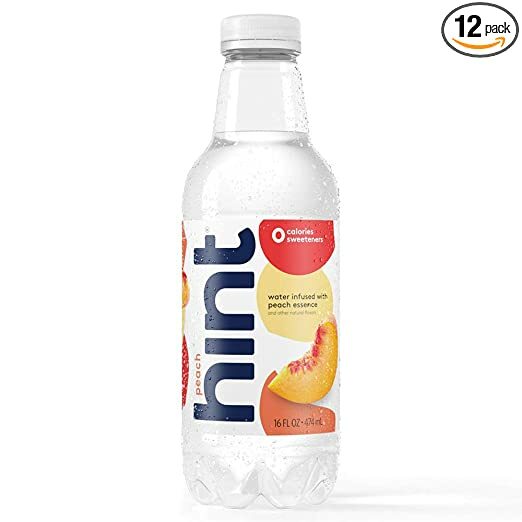 One thing that we like the most about this Hint Water is that it has just the right level of fizz. It is not too carbonated, yet it is also not too flat. With this, it will not be too boring to drink as you can feel just the right amount of fizziness in your mouth. With the light flavor of this drink, it makes a refreshing beverage on a hot day. It is sure to quench your thirst. It provides the hydration that you need while also improving metabolism, among other benefits, including those that we have mentioned in the first part of this guide. Lastly, similar to others from hint, it contains zero artificial sugar. The flavor is achieved only through the use of natural ingredients, which is one more thing that makes it good for your health. Looking for a new way to enjoy your water? Tired of its plain taste and flat texture? You have some good reasons to choose this Hint Water. With its light peach flavor, it is the perfect way to quench your thirst and be refreshed. One thing that you will love the most about this water is that it is free from artificial sugar that can cause serious health problems, such as diabetes and obesity. This drink does not also contain preservatives. Lastly, we like it because it is pure water. All of the benefits of drinking regular water will also be apparent if you consume this drink. This makes a great alternative to juices and sodas, among other drinks that are unhealthy. Now that you are done reading the Hint Water reviews above, it is our hope that you can easily make the right decision. Doing the latter is actually easy basically because they are almost the same in features – zero sugar, zero calories, and zero preservatives. Indeed, they will make great alternatives to sodas and energy drinks, among other unhealthy beverages. If I will choose only one from the five products that have been mentioned above, it would be Hint Water, Variety Pack, 16-ounce Bottle. What I liked the most about the latter is that there are four flavors that are available. Regardless of which one you choose, it is refreshing and tasty without having an overpowering flavor.